This car is being offered for sale by an auto broker. That's kind of interesting, as most auto brokers I know rarely advertise a specific car, but, for a fee, offer to get you the best deal on any car you want. 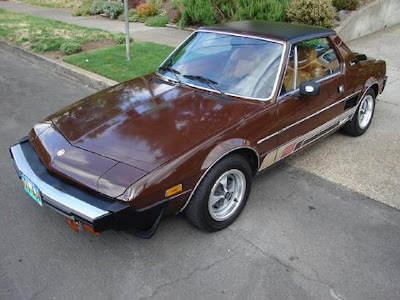 Very hard to find X1/9 Bertone that is super original plus it is a one owner with practically no miles!, Runs, drives and looks great!, Bought new and owned in Oregon!, For the money you will love it so make an appointment to view it today!, Just remember that finding another one will not be that easy so do not delay!, Sold with all books, keys and a full tank of fuel! Being an older Fiat you're going to want to know a lot more than that, so you're still going to have to ask the owner a ton of questions. You might as well have gone to him or her in the first place. The X1/9 was introduced in 1972. It was a great looking mid-engined car for the masses. It was also painfully slow. Early cars had a 1290cc SOHC 4 that produced 75 HP. The car may have looked a little like a shrunken Ferrari, but it performed like, well, a Fiat family sedan, which is where much of its parts came from. Things got worse in the US in 1975, when emissions regulations dropped the US spec engine's HP rating down to 63. Things got better in 1979. Fiat increased the displacement to 1500cc and a 5 speed transmission became standard equipment. The new engine pumped out 85 HP. Not great, but better. All of that was offset by the cars looks and mid-engined handling characteristics. Few cars, if any, offered this combination for so little money. The car being offered for sale is a one owner car with a claimed 38,000 miles on it. The body looks straight and rust free. There is no mention if any work was done to it. 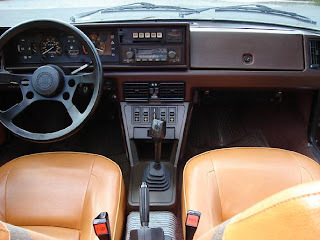 The interior, often a problem on these cars, looks very good with the only flaw being some wear on the driver's seat. The engine bay is clean with what appear to be the original stickers still in place. There is no mention of any work done to the engine. The X1/9 was not a problem free car. 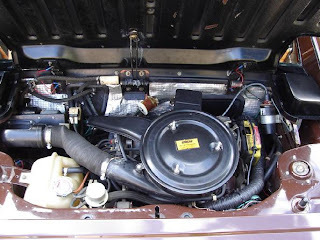 Besides the typical Fiat rust issues, engine cooling was a problem. (So much so that a cooling fan was added for the carburetor, which otherwise would get so hot fuel would vaporize in the float chamber, leading to fuel starvation.) Transmissions were weak and trim, in some cases, cheaply made. The bottom line on this car is that this appears to be a very nice old X1/9. But, being an older Fiat, you're going to have to ask a lot of questions of the owner. If the broker is ethical, he'll just give you the phone number of the owner and let you talk to him or her directly. If he balks at that, walk away. There are still plenty of other nice old X1/9s available. Located in Portland, OR, click here to see the ad.